Lue. Monty Williams is another Luke. Good half arse job, now finish your analysis please sir, whar about williams? Then Pelicans traded CP3 so went through rebuild. Got AD but he was still young and rest of the key players (Eric Gordon, Jrue Holdiay) were dealt with injuries. In 2015 he made the playoffs again but this time they faced Warriors and they couldn't resist much with those injuries. Overall he was able to win %44 of games while AD was young and others having injury problems. Mind you he was in West. Lue will be puppet of Lebron. He had no experience with young players unlike Monty. Being a puppet of LeBron has been very successful for NBA coaches over the last decade. Perhaps it's a model we should follow. Yea, Lebron respects guys who stand up to him. Cuz then he'll back down like the little puppy that he is. We need a coach who 1) knows how to coach 2) isn't afraid to tell it like it is to Lebron. If we hire Howard I wonder who he will hire as his offensive coordinator? If he can somehow convince Lue to join his staff, whoa that would be nice. I really hope they do their due diligence in this coaching search. Messina and Hammon should at least be in consideration. For our info: Just Ralph's preference. Not a report. I know, what I meant by my post is that I’m fine with Juwan or Monty, I have a feeling whoever we hire between Juwan or Monty they will build a nice coaching staff. Yep, you need a good staff to do well in this league for sure. I know you’re a Messina guy for many years now. I have no insight on how well he can coach, but he would have been better than Luke with the young guys. Unfortunately that ship has sailed. He won’t command Lebron’s respect, and rightfully so. 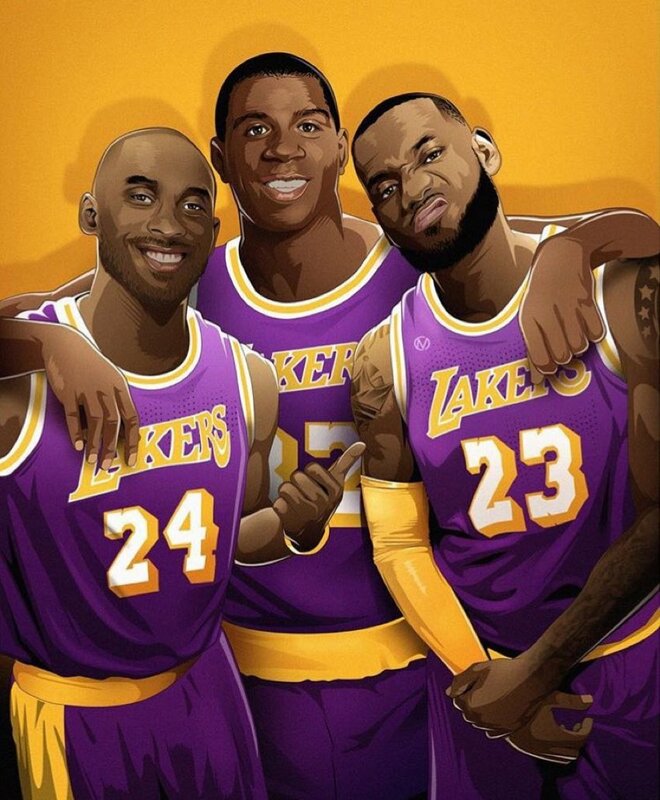 Lebron, Kobe, Jordan. They all need coaches that will challenge them. Not someone they’ll walk all over. Messina is obviously great with X's and O's, but how does he relate to players on a personal level? Especially young players? Can he deal with LeBron? Can he manage egos in Los Angeles? Deal with the LA media? I don't see any way he gets this job. He might as well change his name to David Blatt. I like Monty Williams, but outside of LG T. Lue wins this poll by a large margin. It's common sense that you want to get the most out of LBJ while you have him, and that is what any GM would do. Even ignoring the LeBron connection Lue is the coach with the most success, so he’s going to be the most popular candidate outside of the people thinking he’s LeBron’s puppet for some unknown reason. I voted for Lue, but it's worth pointing out that Monty Williams was in San Antonio when Kawhi was. I don't even know if this is true, but if Kawhi has some sort of comfort level with him and if he tells you he'll come if Williams is the coach, well, wrap it up and make it happen. Lue for LBJ (when KL does #LoadManagement). Monty for KL (when LBJ does #LoadManagement). Lebron doesn't want a white man telling him what to do, so Messina is out. Out of the 2 I'd rather have Williams. Yep. LBJ is the elephant in the room. Everyone likes to point to Jeanie and say, "don't screw this up again". But in reality, it's Bron's decision. He's the only star here. And he's arguably the biggest star in the game. Monty Williams as coach, Ty Lue as offensive coordinator, Juwan Howard as defensive coordinator. Ty runs the offense, Juwan runs the defense, and Monty is the well-respected authority figure who delegates responsibilities. I don't even know if Lue would go back into coaching if it wasn't a head coach, though, and I'm not sure if Miami would let Howard go if it were a lateral move. Not sure why ty lue is not the frontrunner. People say hes a lebron yes man but from what people who actually were part of those cavs teams have said he was not a lebron yes man coach. If you look at accomplishments, hes got more than Monty William's and most of the candidates out there. Hes got a ring, a ring that carries a lot of merit due to historical significance. First nba championship to Cleveland, first and only NBA comeback from 3-1 in NBA finals, and all that vs the best regular season team in the history of the NBA. People like to give lebron all the credit but fact of the matter is that's not true, a team doesn't accomplish such historic feats with a crap coach. Hes also a former Laker which, despite what people may think due to our nepotistic misfortune as of late, is actually a good thing because if any team has the right to be nepotistic it would be the most championship winning team in the modern NBA era. More experience, better record, better everything, ty lue is better than Monty William's in every way. T-Lue is Jayson Tatum's cousin.